Happy Monday Lovelies!! I hope everyone had a fantastic and relaxing weekend. I know I did! And to all you wonderful mamas, soon-to-be mamas, grandmamas, and single dadas - happy belated Mother's Day! I hope you were all spoiled rotten by your loved ones! I had a splendid weekend that involved two knit nights, some much needed quality family time with the Munchkin and the Mister, a quick trip to the new Target, and a whole heck of a lot of knitting time thrown in. Absolutely marvellous! I definitely needed a weekend like that before starting up another hectic work week. Please excuse the dusty glass plate! Isn't that exciting?? I'm so close to finishing this, I can feel it draped around my neck already! I seriously cannot believe how fast this project is knitting up. I honestly thought it would take me forever to finish it considering how the last time I had knit a shawl of this caliber (Nuvem) it had taken me half a year to knit up. But hey, I'm not complaining!! My hope of being able to wear this beauty this spring, and not next spring, will actually be a reality! I think if I plan it right, if I manage my time properly, I think I can get this project off the needles by the end of the week! Eek!! I think my excitement alone will be enough to make this last bit knit up faster! So with that said, before I start up my work week I think I'm going to try to sneak in a round. I hope you all have a sunny and lovely Monday! What? you're about to cast off? 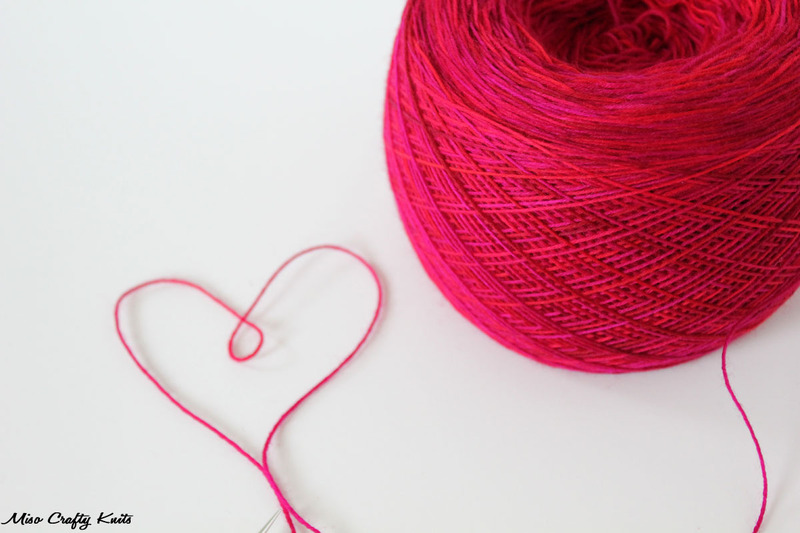 I'm inspired to cast on for my own Viajante once I hunt down a skein in a similar shade of zomg pink! Oh no, not yet Preeti! I wish I'm about to cast off! I hope you do find a hank of WM Lace in Dorn...I seriously think everyone needs something made in this colourway! Hahaha...I don't think so Sheralynn! :p I think it was solely having the time to knit that got me this far!